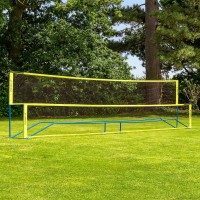 Both of these Vermont Volleyball Sets feature professional-quality aluminium telescopic volleyball posts, which offer 3 adjustable heights; 8ft (mens), 7ft 8in (mixed) & 7ft 4in (womens). 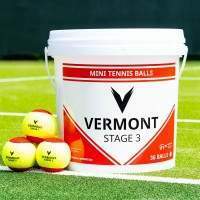 One of our more popular volleyball products amongst sports clubs, schools & families, our Vermont Volleyball Sets come with a heavy-duty carry bag included ensuring they’re 100% portable. 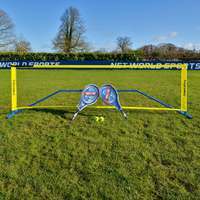 Our portable volleyball sets allow players to experience professional quality every single time. Both the regulation volleyball net (32ft) & the beach volleyball net (28ft) conform to FIVB specifications. With this Vermont Portable Aluminium Set at your disposal, you’ll be able to take the Volleyball action wherever you like! Brimming with top-of-the-range Volleyball equipment, this set has been specially designed to provide a world-class Volleyball experience wherever you choose to play. Operating in a different league to its steel rivals, this light-in-weight, durable aluminium set is perfect for schools, clubs and families. 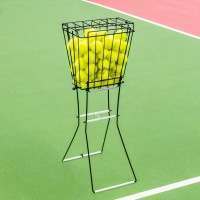 This set is ideal for players on the go, as the included carry bag ensures storing and transporting the Volleyball equipment is the simplest of tasks! Easy to assemble and dismantle, this sets portable nature allows you to play volleyball just about anywhere! 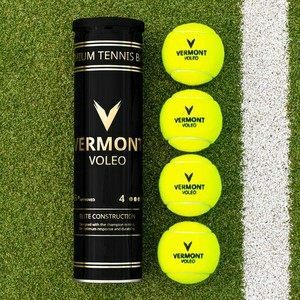 Providing the foundations for this high-quality Vermont Volleyball Set, the telescopic posts ensure that the Volleyball action is never hindered because of poor net support. Engineered from extremely tough aluminium, these telescopic posts come with diameters of 48mm and 46mm and have been designed to be expertly durable and resitant to rusting whilst the lightness of the material allows the set to retain its easy portability. 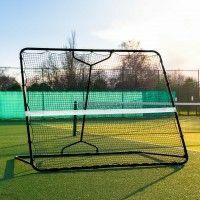 As well as strength, the black uprights also offer 3 adjustable heights; 8' (men), 7' 8” (mixed) and 7' 4” (women) ensuring all players are catered for with the correct match specifications. The set also includes 20m long guy ropes, which are manufactured from 6mm braided PE, which add an increased level of stability when secured to the ground using 8mm thick pegs (included). 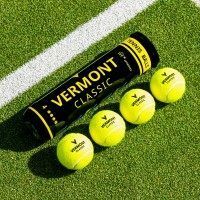 Matching the posts when it comes to quality, the net helps this Vermont Volleyball Set maintain its outstandingly high standards. 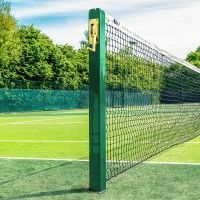 Designed to meet Official FIVB Regulations when it comes to size, the 32' x 3' net is the perfect choice for training and competitive purposes. 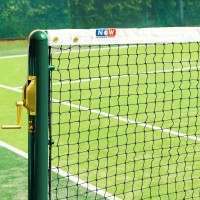 The top-level net is crafted from 45ply twine with a 10cm mesh which is finished with a PVC banding. The blue banding provides extra strength to the net, increasing its capabilities of dealing with multiple impacts from Volleyballs. 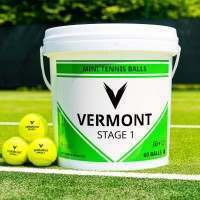 Not just content with providing you with a high-quality net, this Vermont Volleyball Set also includes a court line rope, which can create a 18m x 9m Volleyball Court pretty much anywhere providing you have sufficient space. 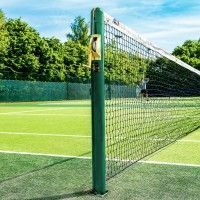 Boasting similar durable qualities to the posts and the net, this court line rope is manufactured from 6mm braided polyethylene, which allows it cope with consistent use over long periods of time. More than just your average garden Volleyball set, this portable aluminium system is of extremely high quality. 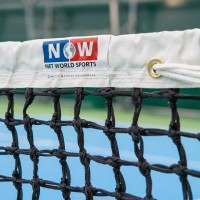 The highly-dynamic net system is just as at home in the back garden as it is in a competitve volleyball arena and can cater to mens, womens and mixed volleyball matches thanks to its adjustable 48mm/46mm diameter telescopic posts. 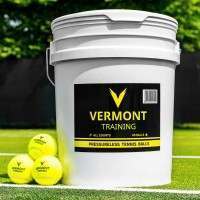 PLEASE NOTE: Should you wish to convert your Vermont Portable Volleyball Set to official Beach Volleyball regulations, we sell a 28ft Beach Volleyball Net as a separate product. Beach Volleyball features a slightly smaller court (16m x 8m) than regular volleyball and does not include an attack line.